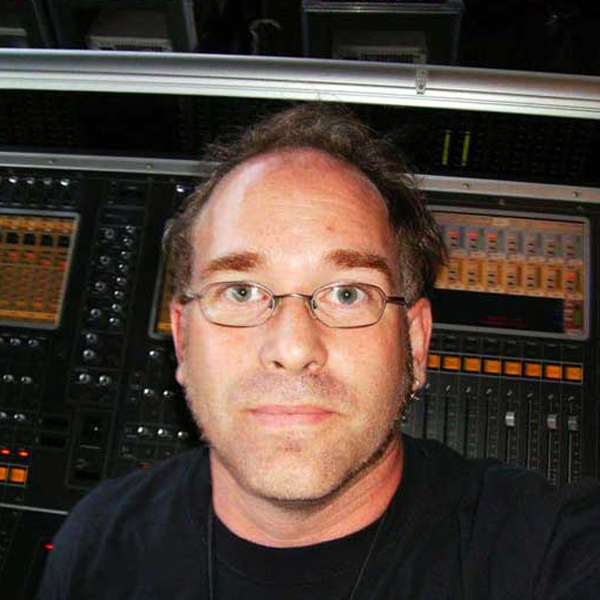 "Folks do not realize how hard it is to make multiple guitar channels live happily together. With a JDX, mic placement is no longer an issue. It sounds like an SM57 on a 25W Celestion." "We cannot always pick our audio sources, but we can pick the tools to make them audible; horrible laptop headphone output + Radial JPC, and all is well." 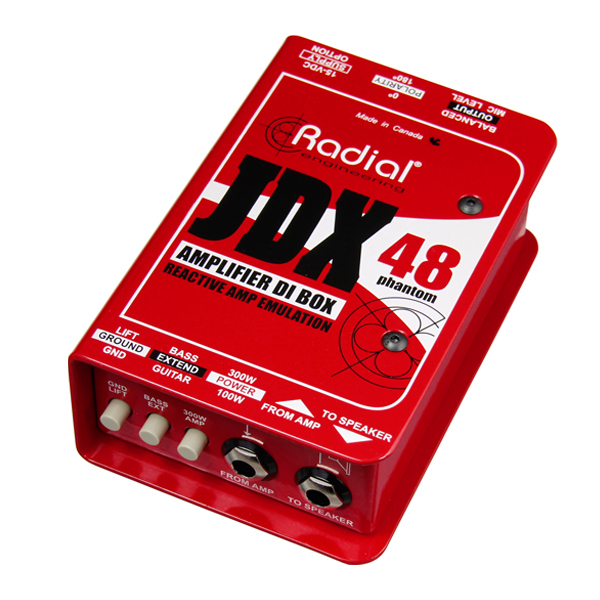 The Radial JDX 48 Reactor is a direct box designed to capture the explosive dynamics and warmth of an electric guitar amplifier by connecting between the guitar amp head and speaker cabinet. 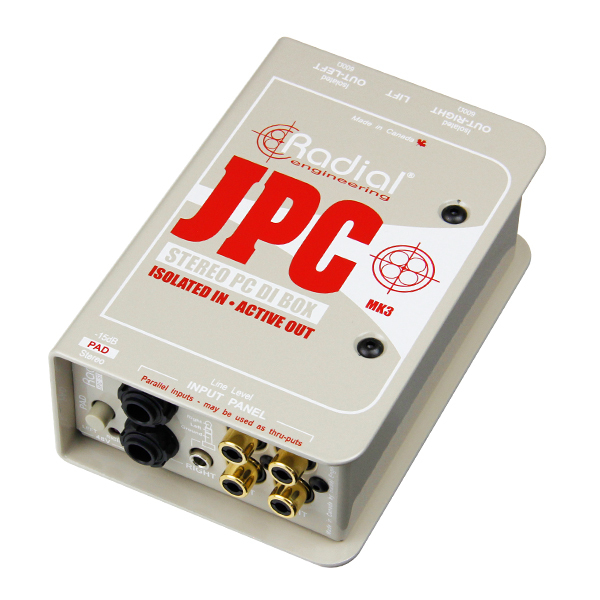 The Radial JPC is an active stereo DI with transformer isolated inputs to eliminate noise that is common with computers and consumer audio devices.